How amazing is it when you find clothing that makes you look on the outside the way you feel on the inside. Isn't that what fashion is all about? It shouldn't be any different, in fact, it should be more so, that when you are expressing yourself through movement that you should look the way you feel. When I was sent these two tops to try out I was more than pleased to see that they are blue! Blue is MY COLOR. I am also pretty particular about being able to wear workout clothing for both working out and during my daily activities. 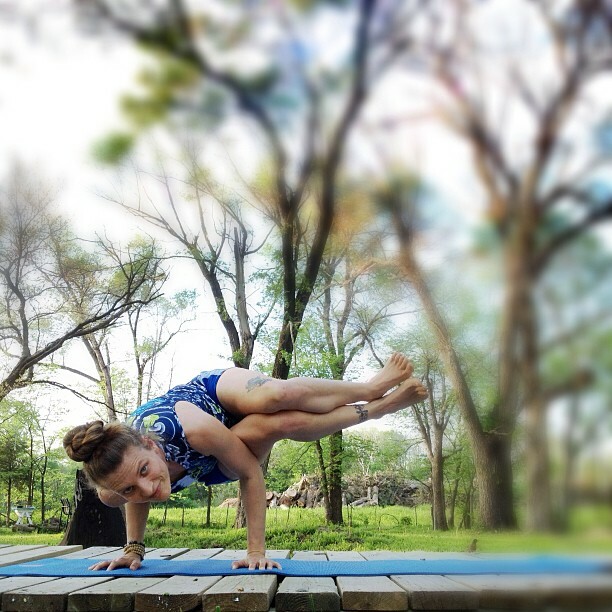 I think its super important to be able to do some yoga whenever and where ever you happen to find yourself. When I am climbing those flights of stairs instead of taking the elevator I want to be able to move and sweat and yet still look awesome doing it. 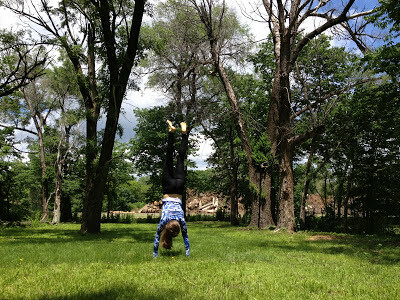 When I am doing the mom thing and getting down on the floor to play or doing handstands in the yard with my spawn, I want to be comfortable and my movement to be free. It is pretty rad that my boys all said what awesome shirts they are! 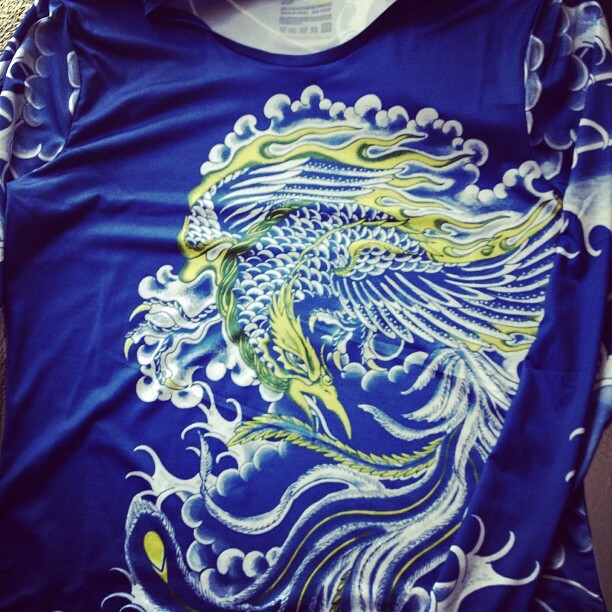 The fabric is a a madkool polyester and spandex blend and it is super light weight. I thought it would be too lightweight however it felt like a second skin. Super soft and it moves with my body so well. 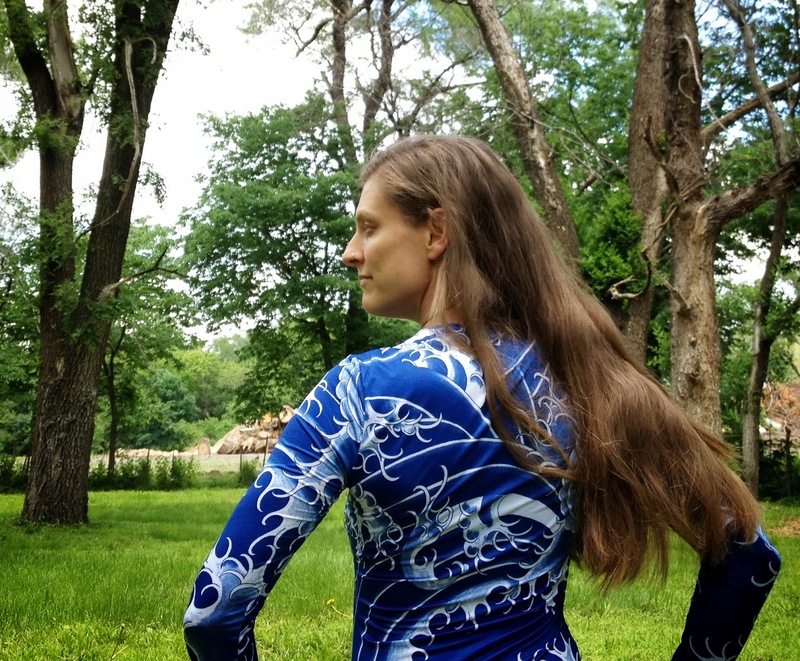 I am usually not a fan of tech fabrics as I get too hot and they often feel like they don't let my skin breathe. 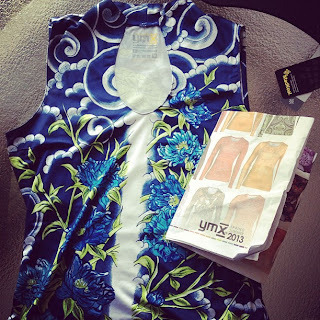 The YMX tops I have are both fabulous and when it was hot out I felt cool and my skin could breathe and when it was chilly I felt like the long sleeves kept me warm. The fabrics keep up with the insane weather fluctuations we have here in the midwest. It also helps that the fabrics are odor and wrinkle resistant. Fitted and flattering, with UV protection spf 30, the Elemental Air Mandarin Tank has a fabulous neckline and the flowers are gorgeous! Check out the whole line of YMX by Yellowman for wearing art while doing yoga, running, CrossFit, Zumba, cycling, or whatever moves you! Day 42 of my #handstand365 challenge in Infinite Phoenix!